Isla de las Muñecas may be the creepiest island on Earth. Mutilated dolls are hung on trees across the island. 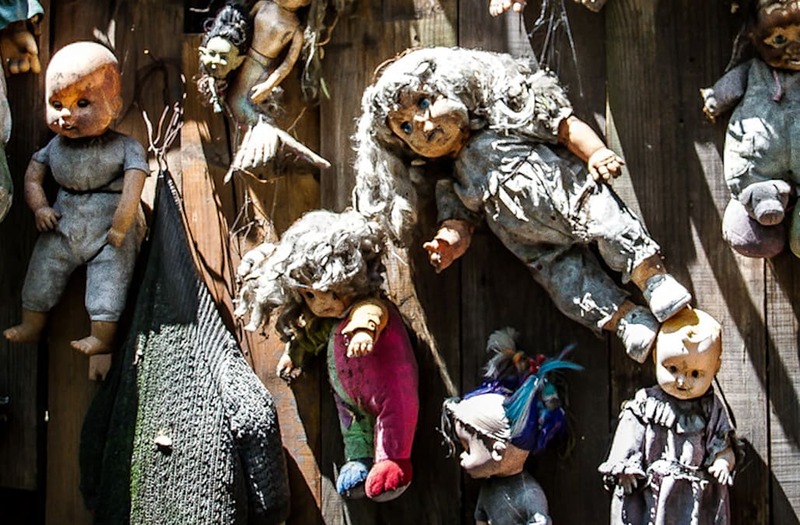 "Island of the Dolls" is located in the Xochimilco canals which is outside of Mexico City. Legend has it that years ago, a man named Don Julio Santana found a dead girl and her toy near the island's waters. As a way to pay his respects, he spent his life collecting dolls and decorating the island with them. Don Julio believed each one of the dolls was possessed by the spirit of the dead girl. The story gets even darker. 50 years after moving to the island, Don Julio was found dead floating in the canal in the same spot he found the young girl. Myths say today the dolls come alive at night. Opening their eyes and moving their limbs. Locals claim to hear their whispers. Dolls hanging from trees on Island of the Dolls (Isla de las MuÃ±ecas in Spanish) in Xochimilco, Mexico City.